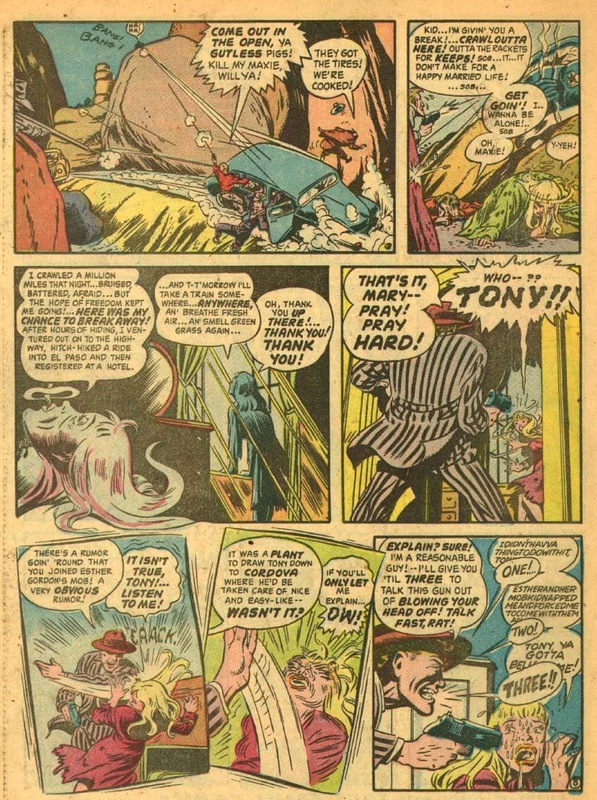 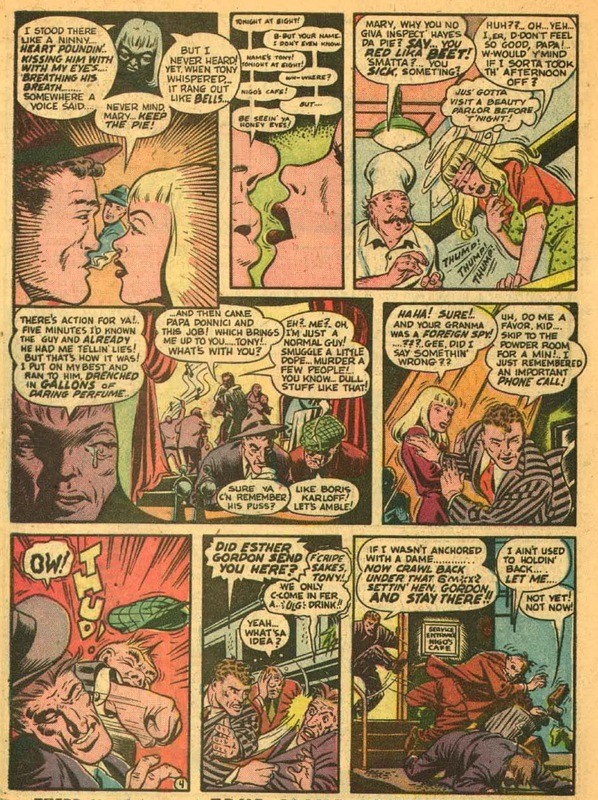 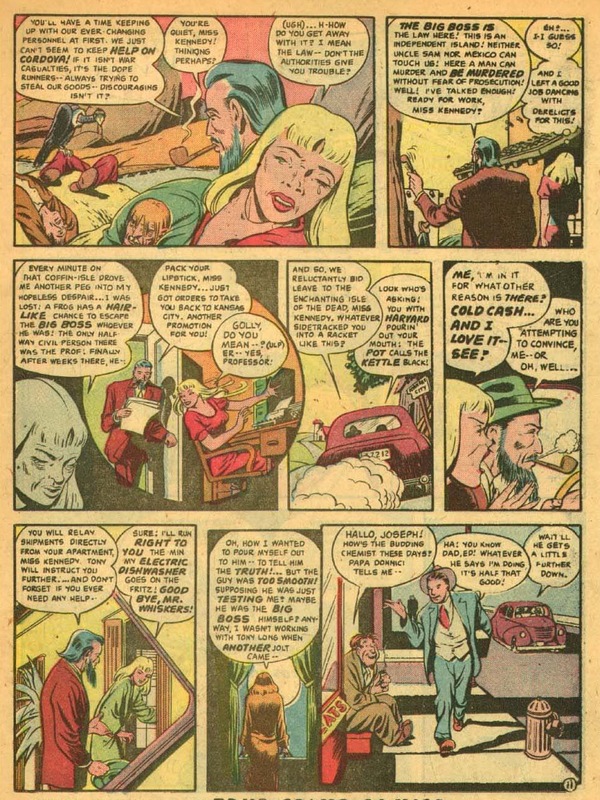 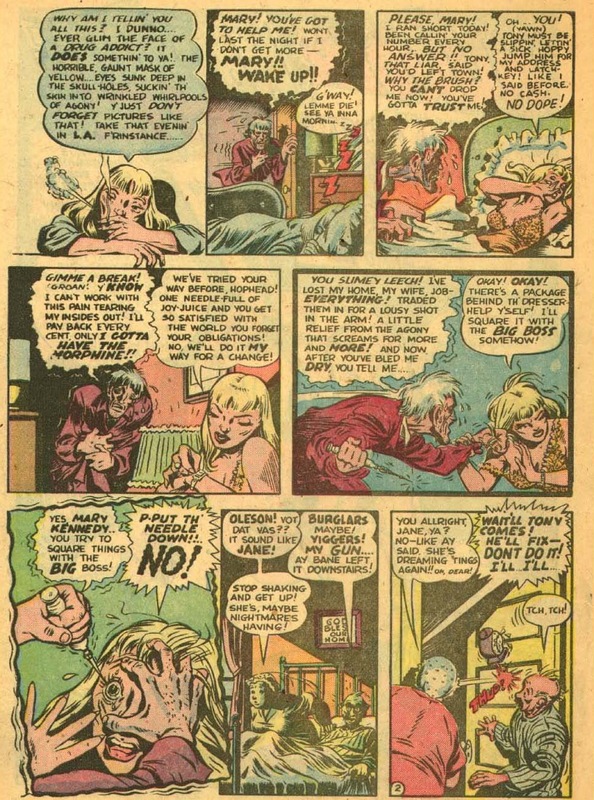 Here’s another infamous EC Comics‘ story from Shock Suspenstory #6 drawn by Wally Wood. 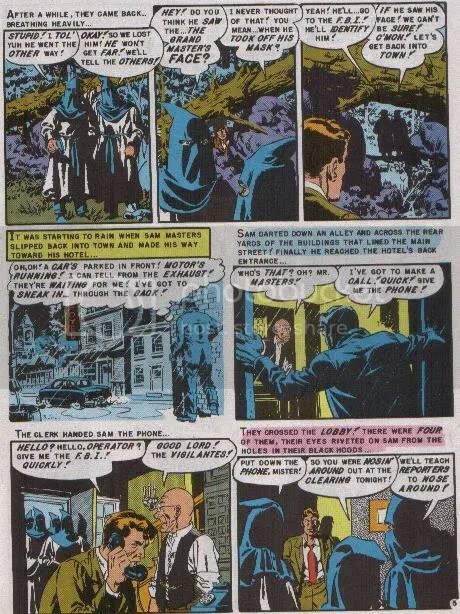 While I think it tries to show how evil the Ku Klux Klan is and was probably wild for an early 50s story, but is probably tame by today’s standards. 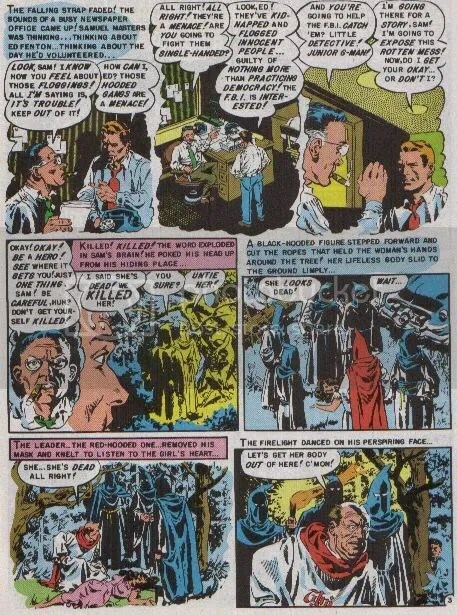 Even so, it is a rare story (not for EC though) where evil triumphs over good. 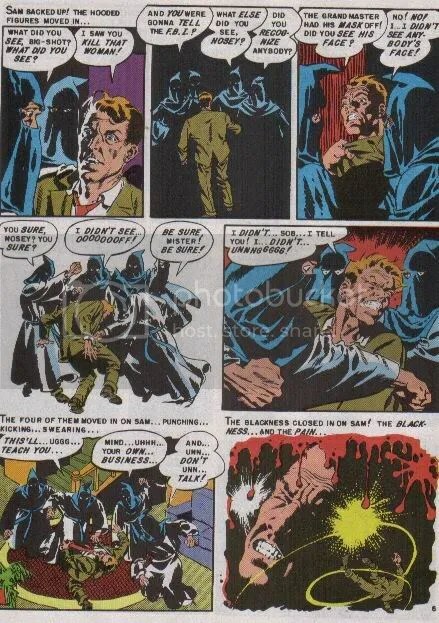 One sad thing about the election of President Barack Obama to the White House is that the membership of the Ku Klux Klan has again been on the rise. 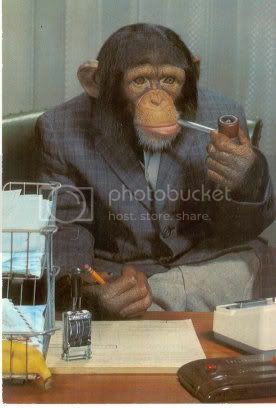 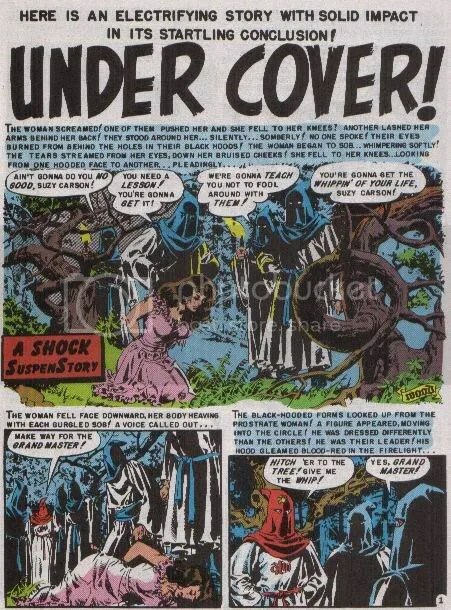 It seems that the a lot of scared white folks (not just) in the south, are fearful that a black president will… who knows what these looneys are scared of. 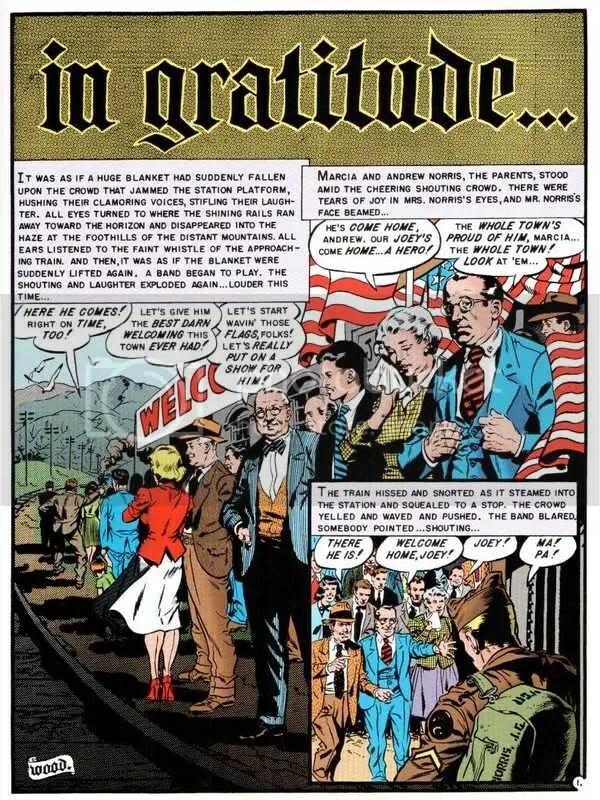 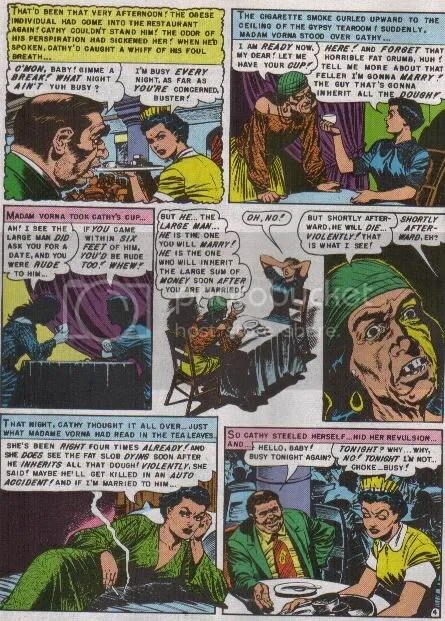 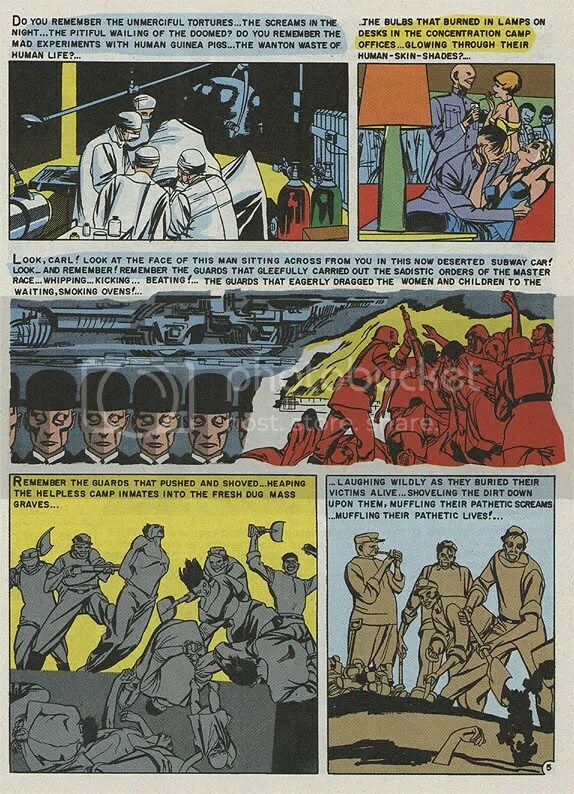 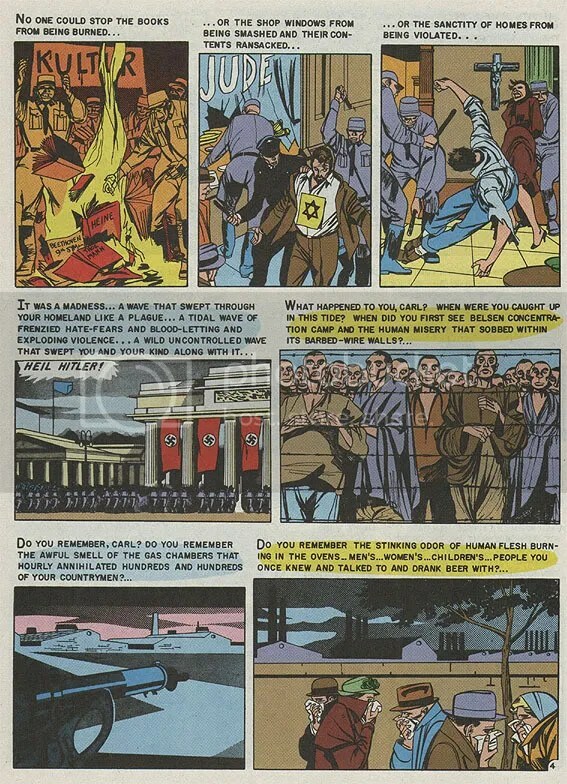 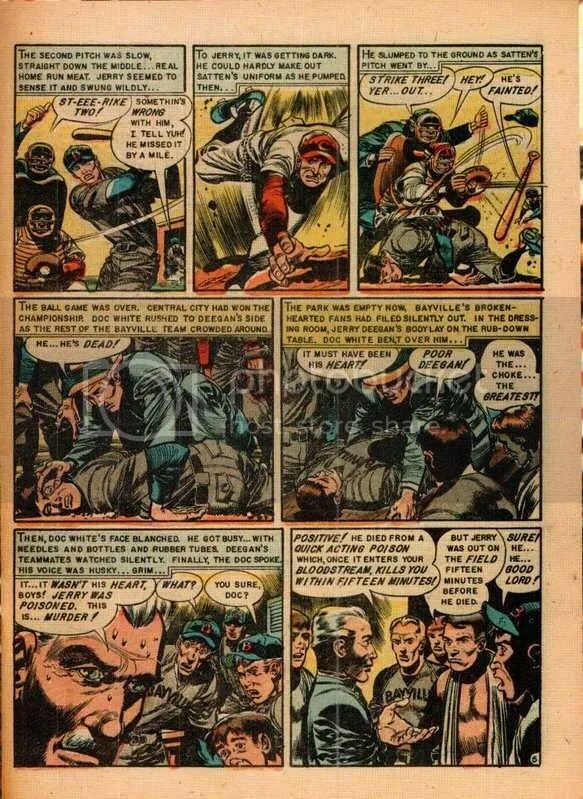 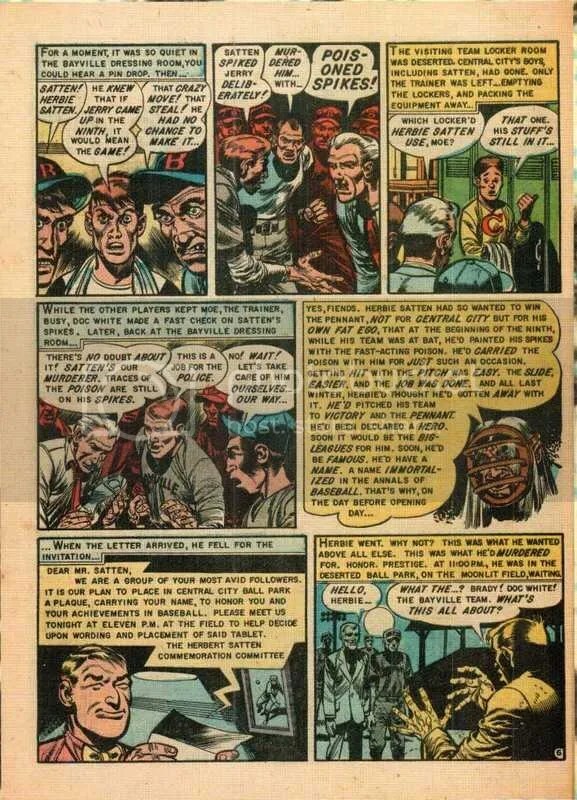 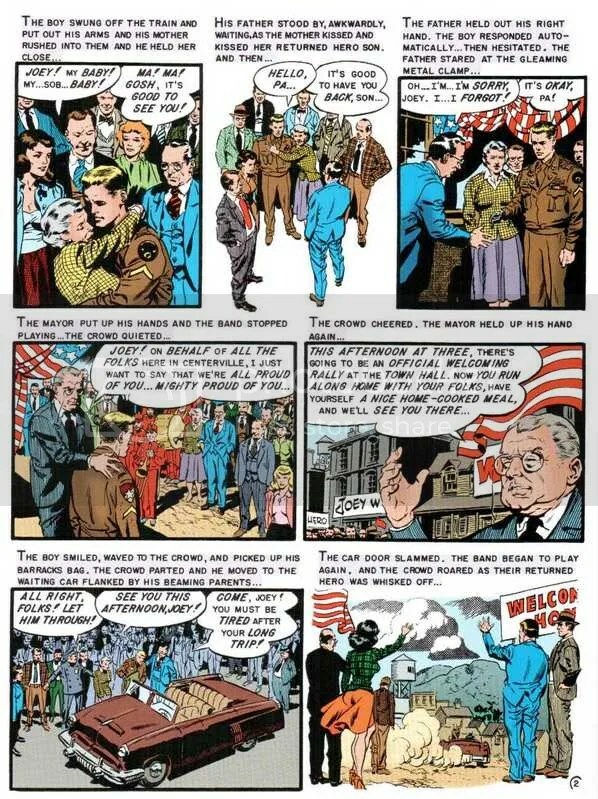 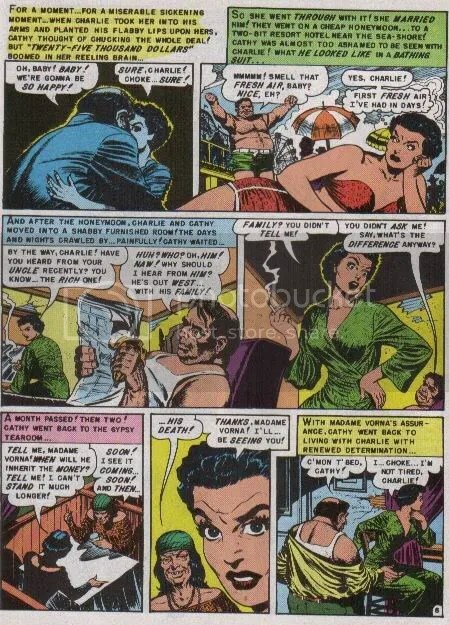 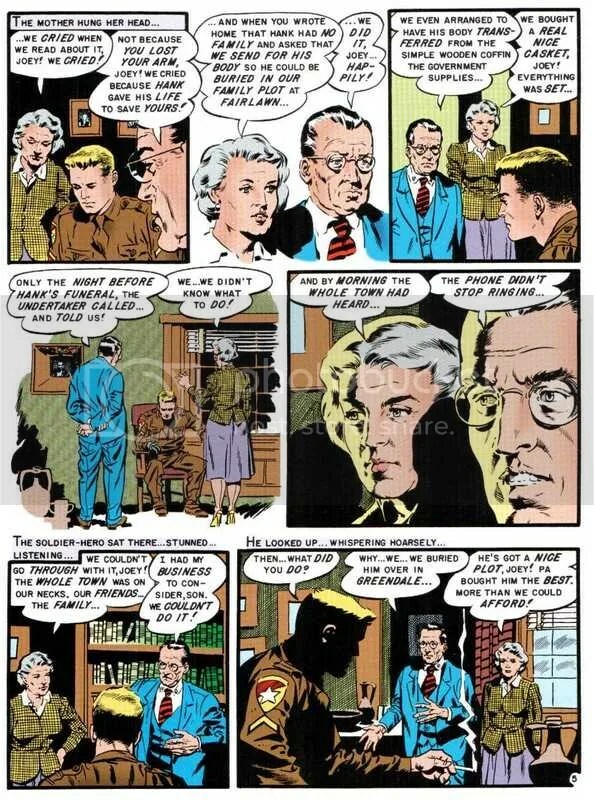 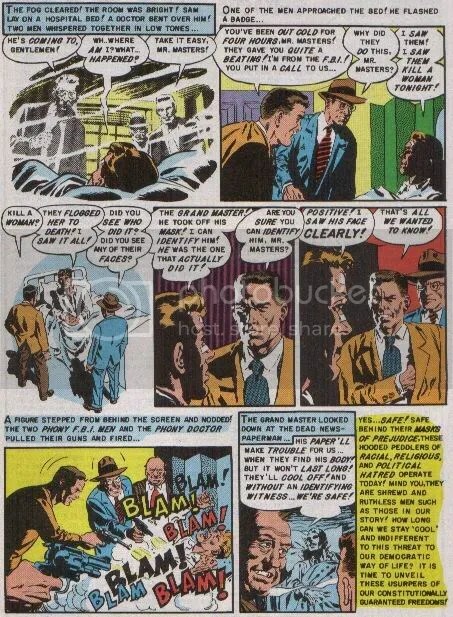 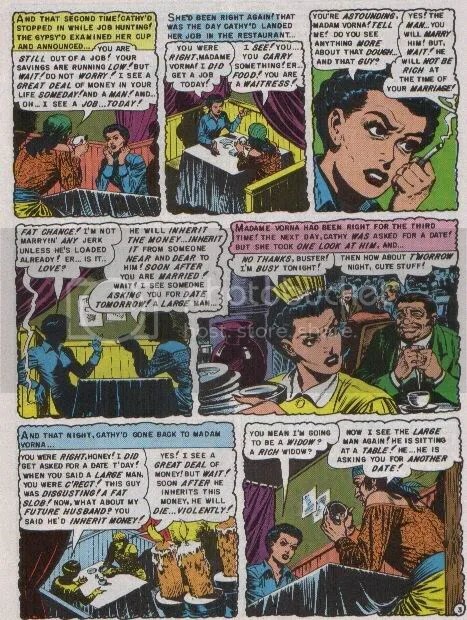 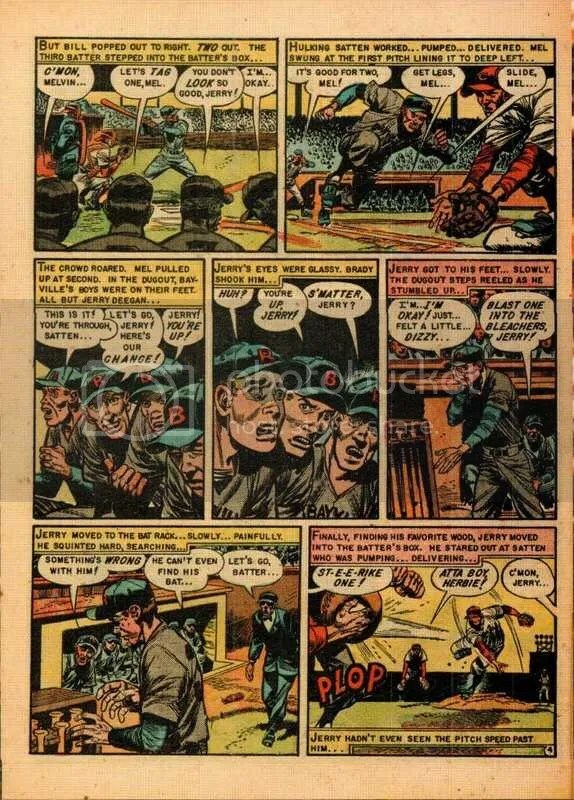 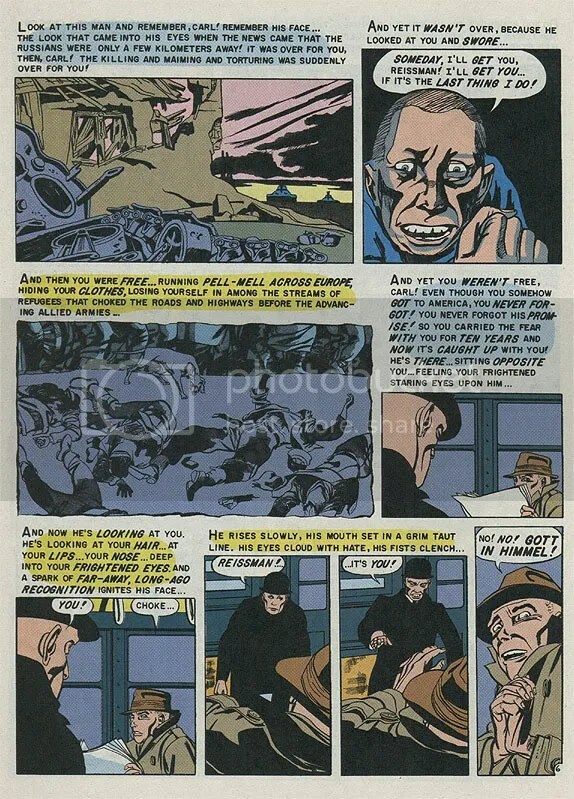 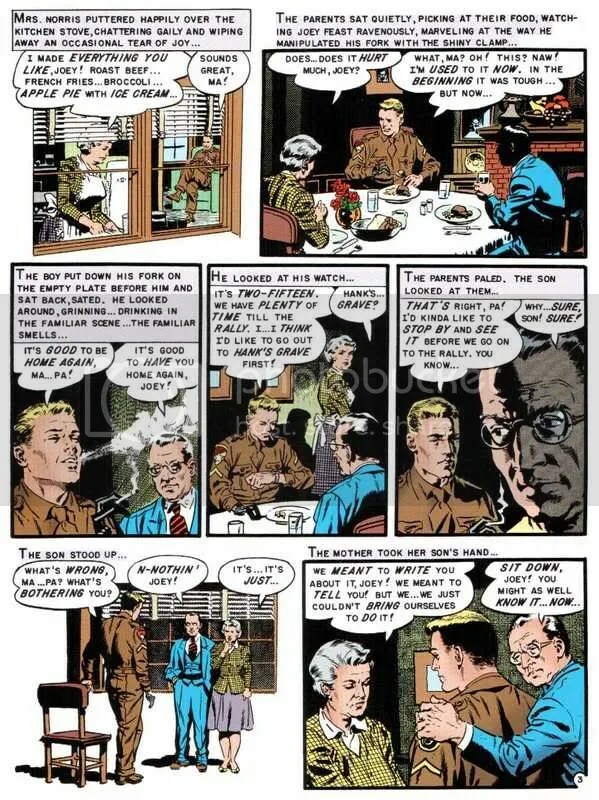 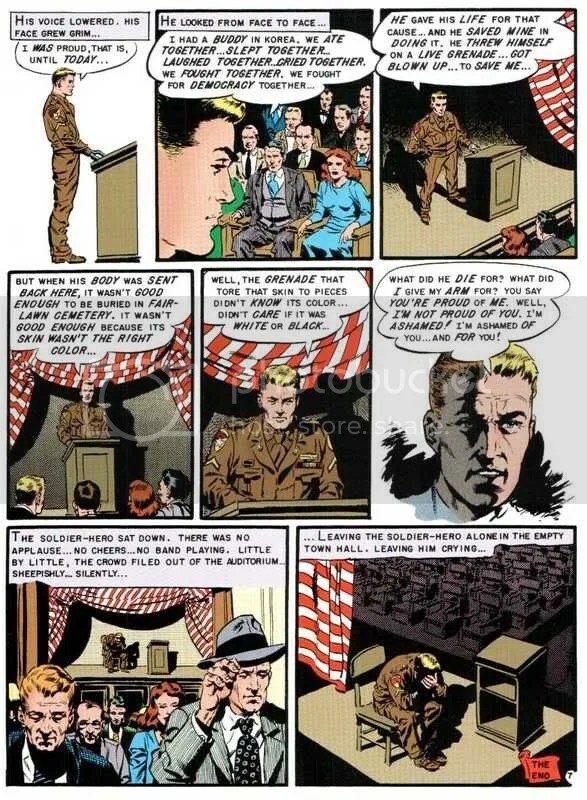 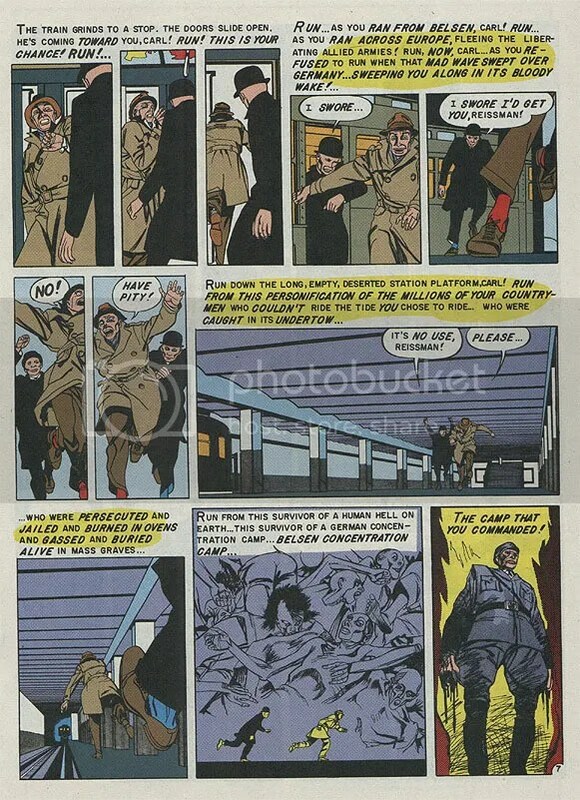 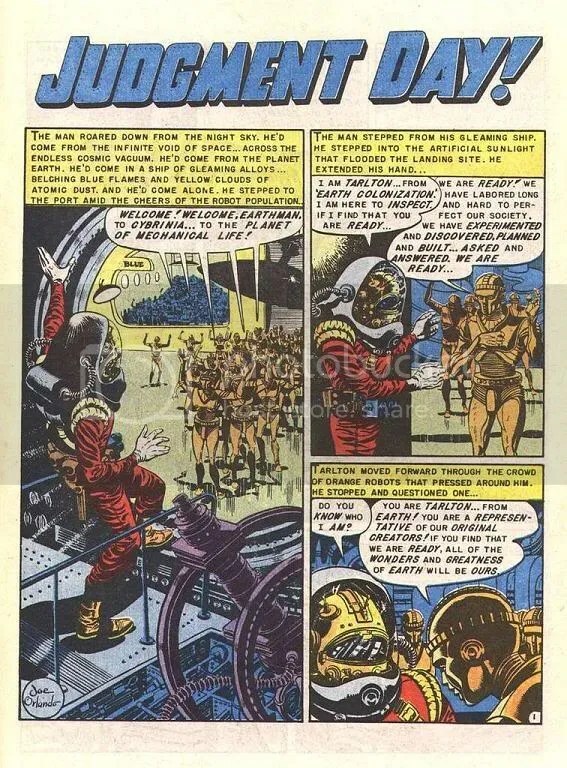 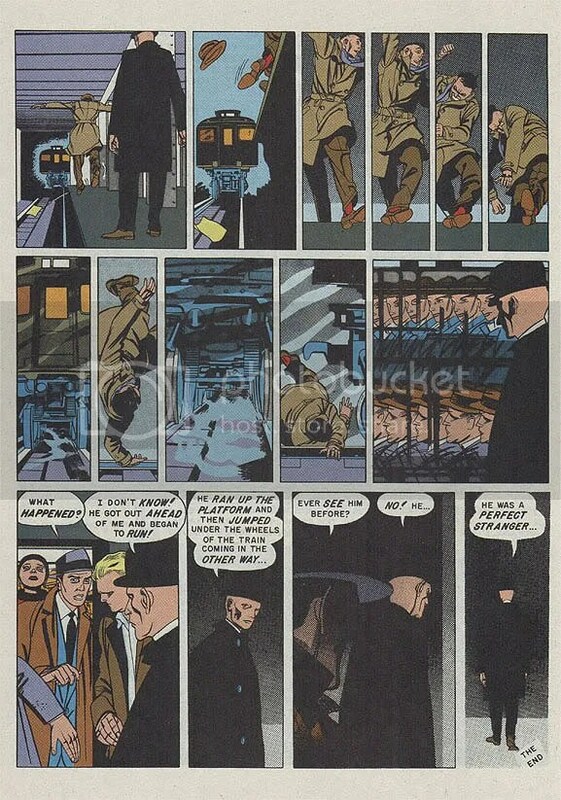 This is another EC Comics story with a racial theme, this time dealing with Holocaust survivors and the tormentors and what would happen if they confronted each other after the war. 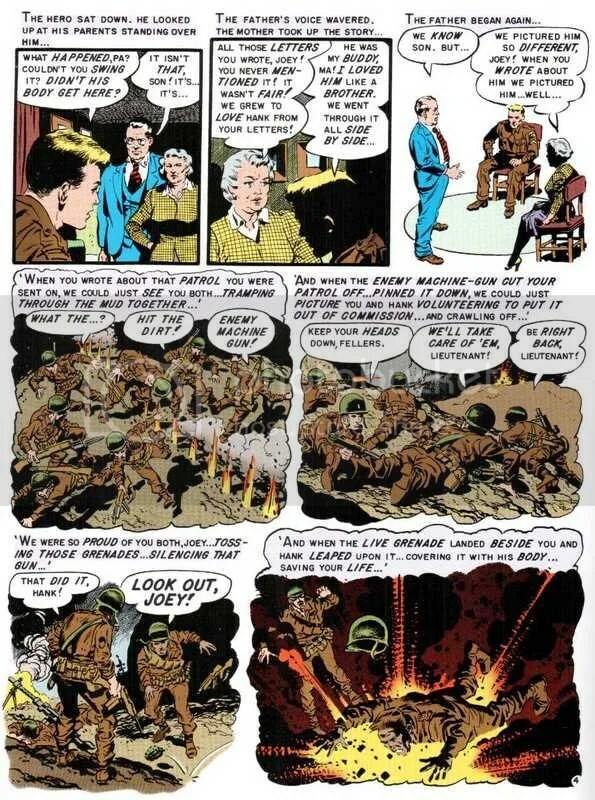 This story appeared in one of EC‘s New Direction books, issue 1 of Impact and seems to have been quit an influential comic story too and there is a surprising twist at the end. 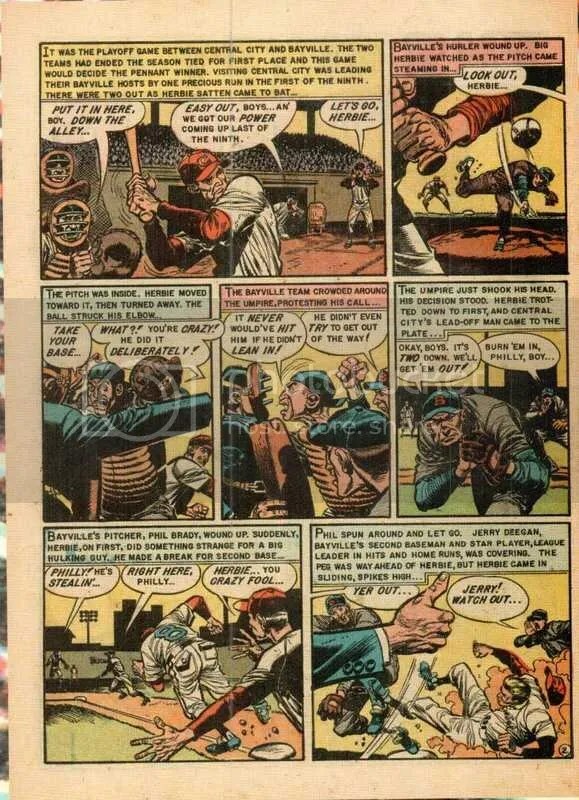 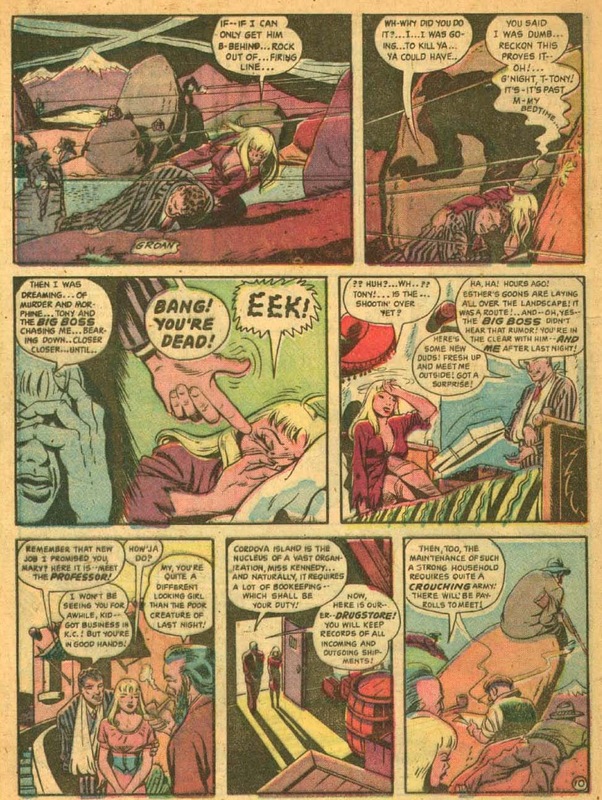 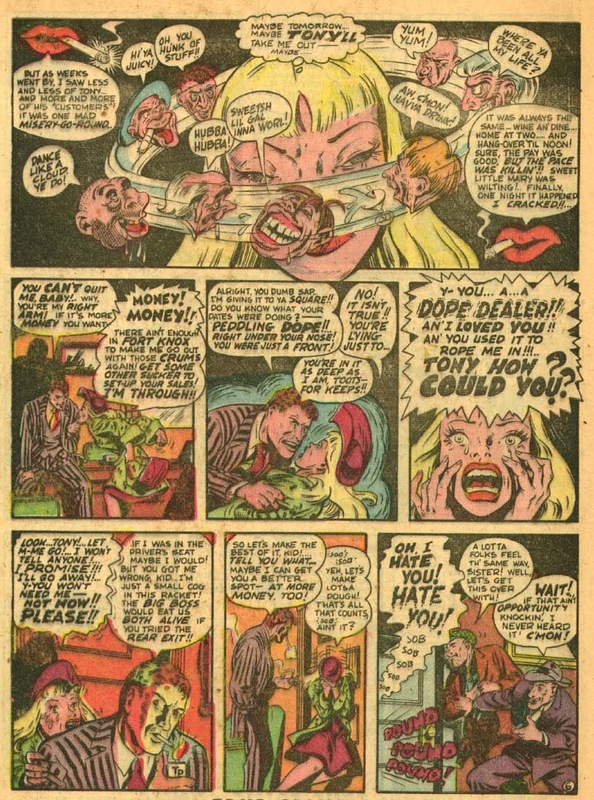 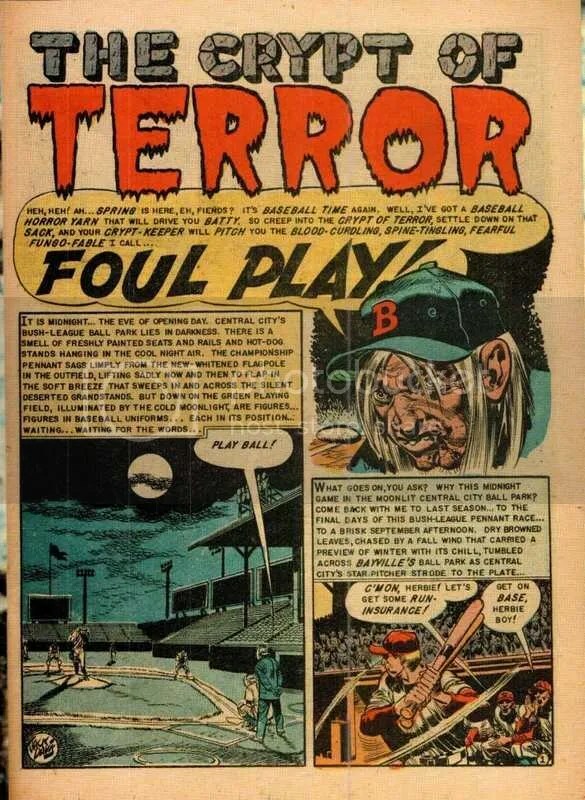 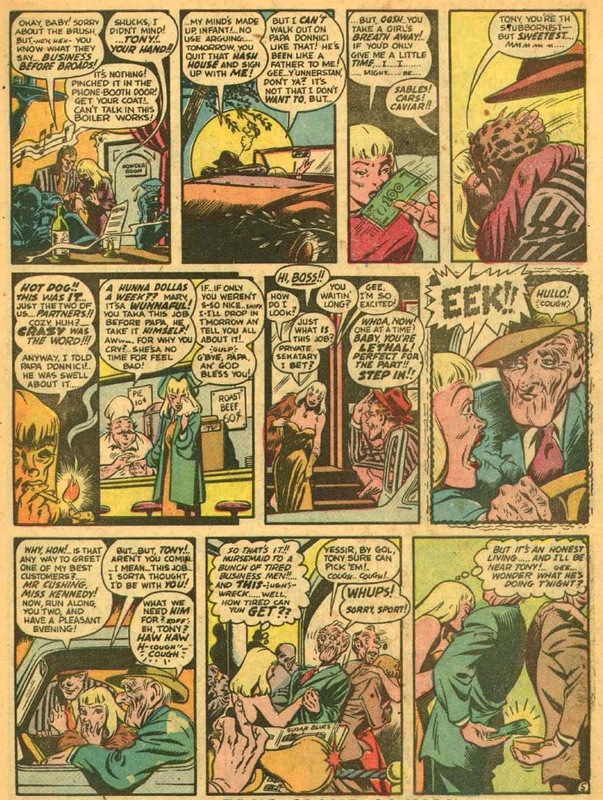 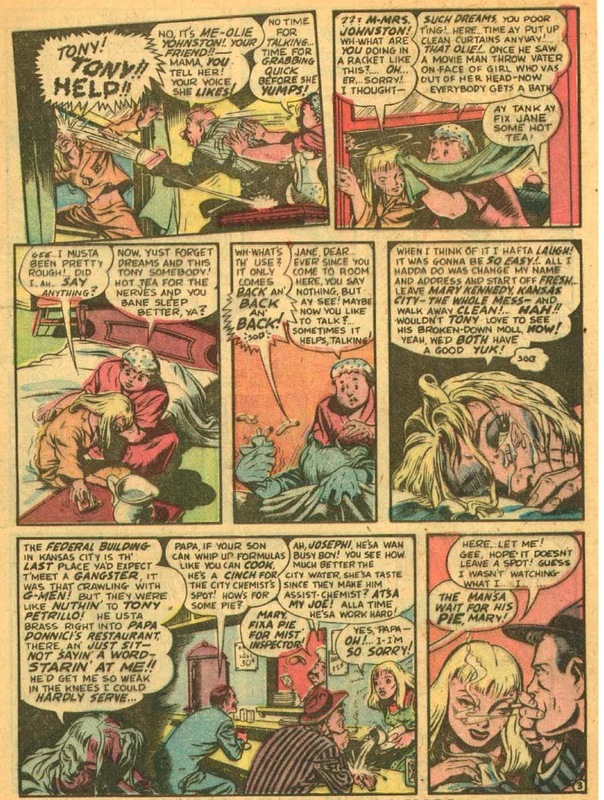 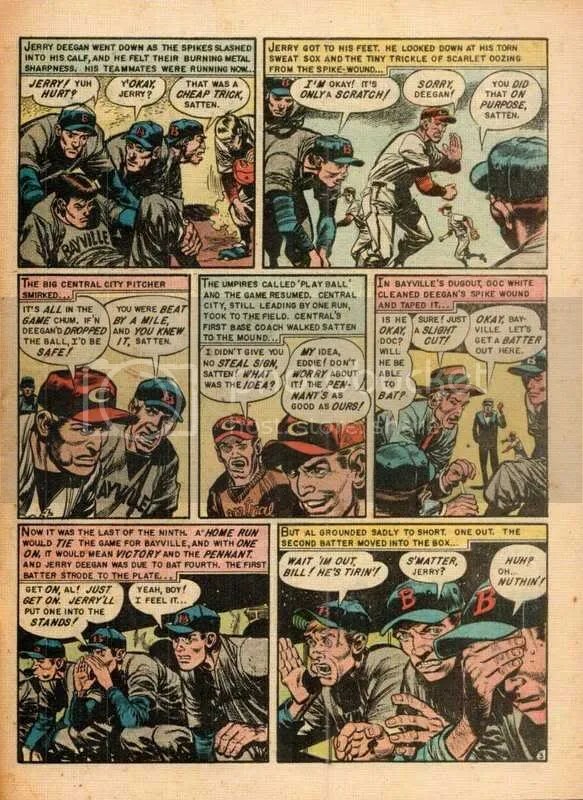 This is perhaps the most controversial and infamous EC Comics story ever written and one that came to the attention of Dr. Frederic Wertham and was cited by the Senate Subcommittee on Juvenile Delinquency . 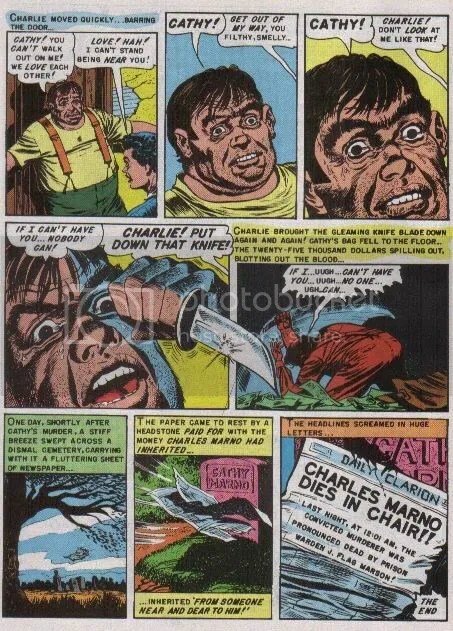 And we always thought that us Aussies took our sport seriously. 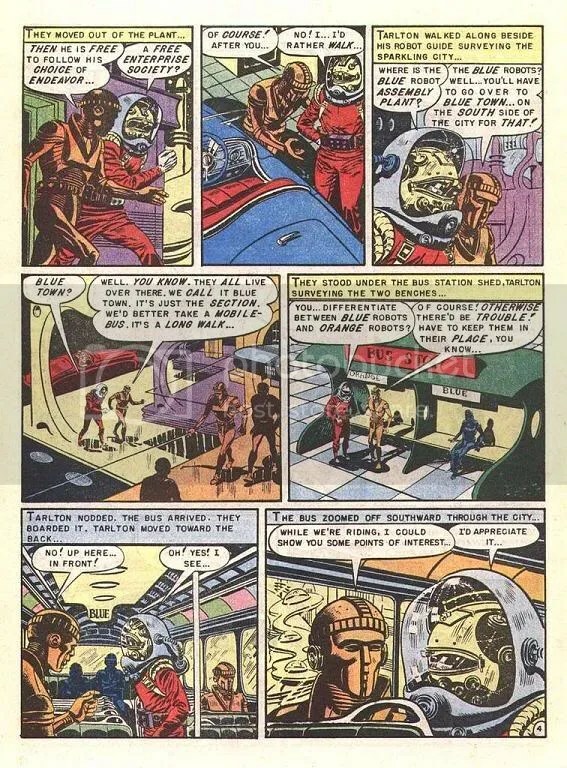 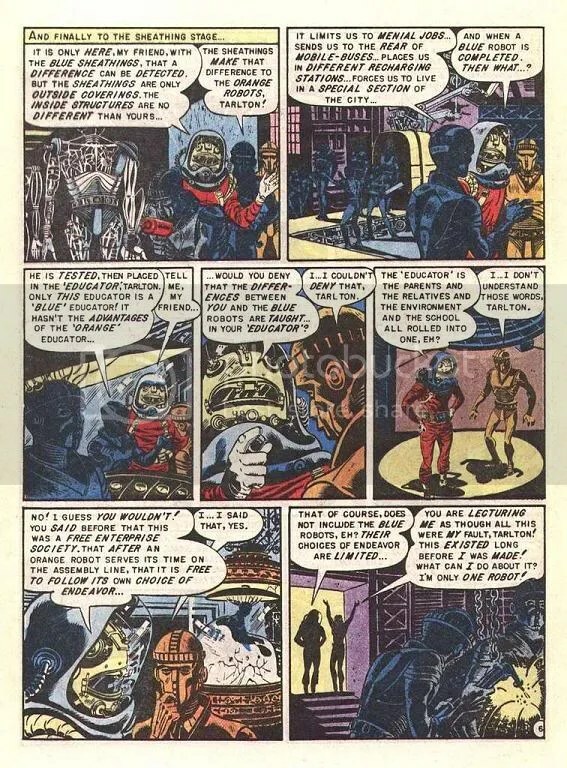 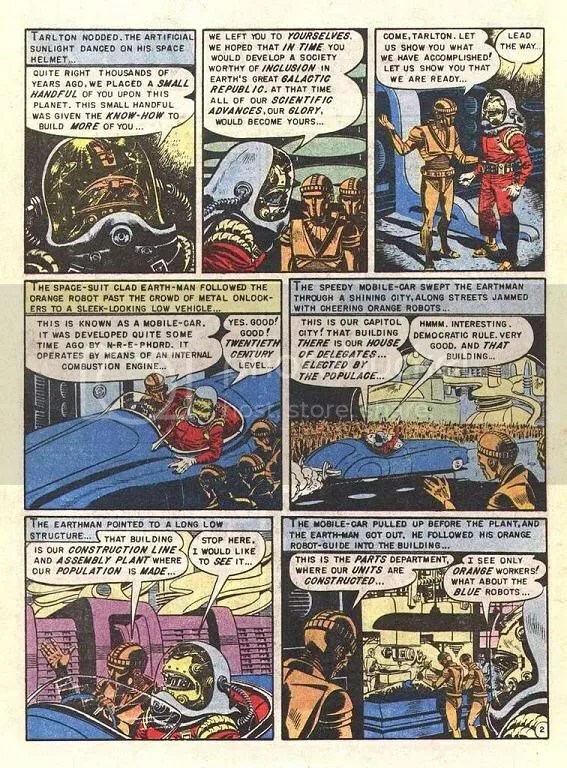 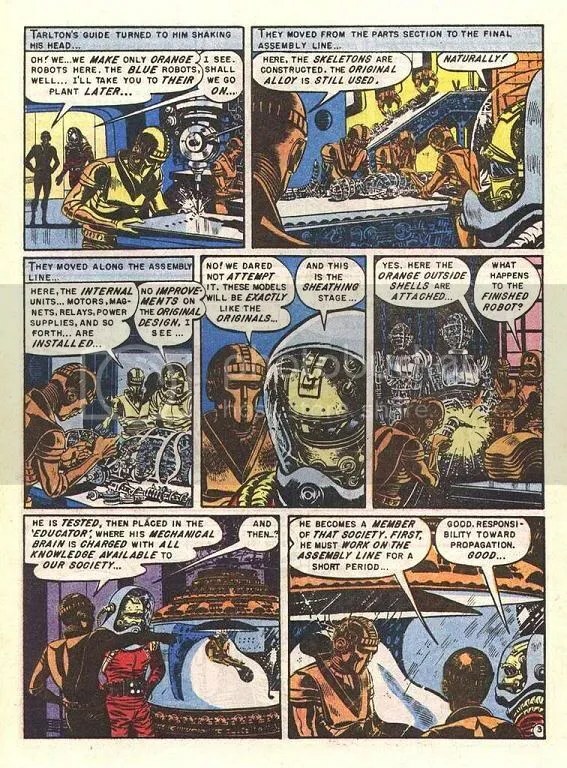 EC Comics – Dead Right! 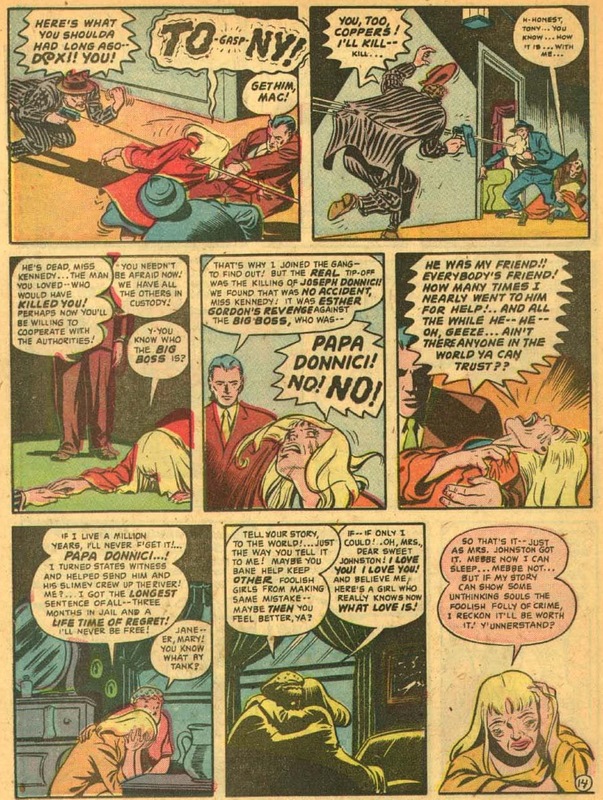 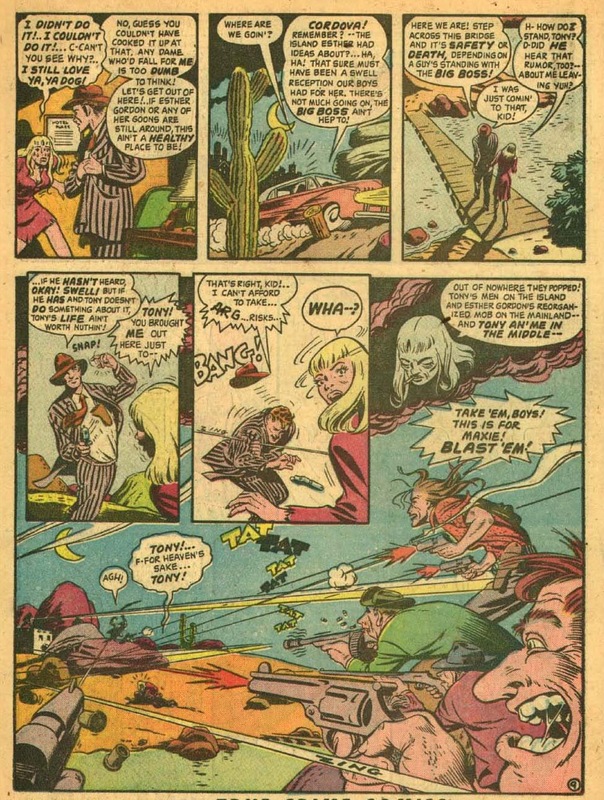 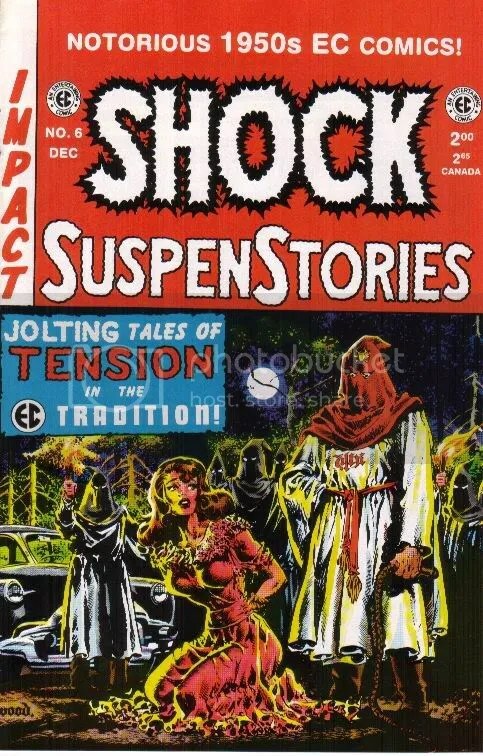 This is a very interesting EC Comics story from Shock Suspenstory #6. 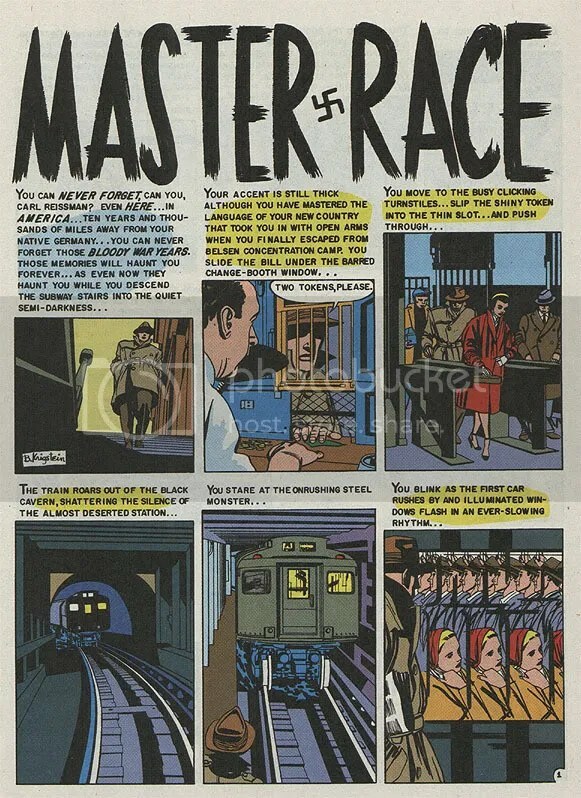 It has one of those famous EC twists that made their stories much more compelling than those from other companies. 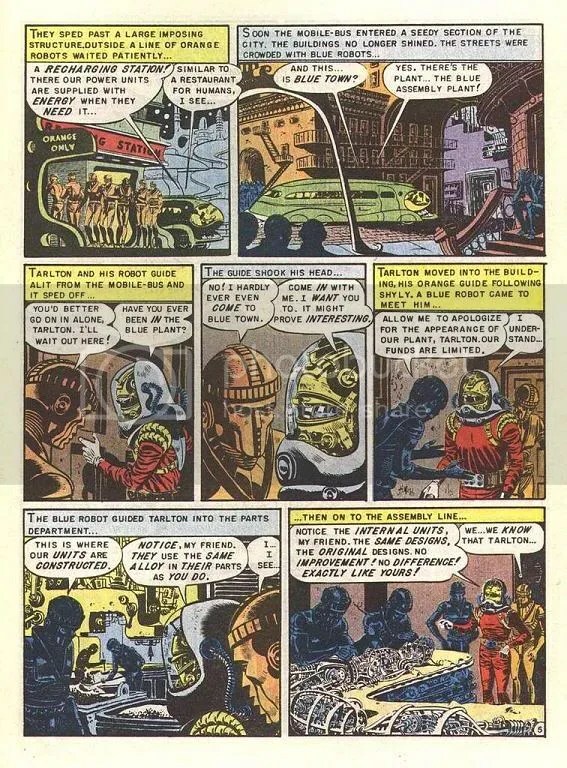 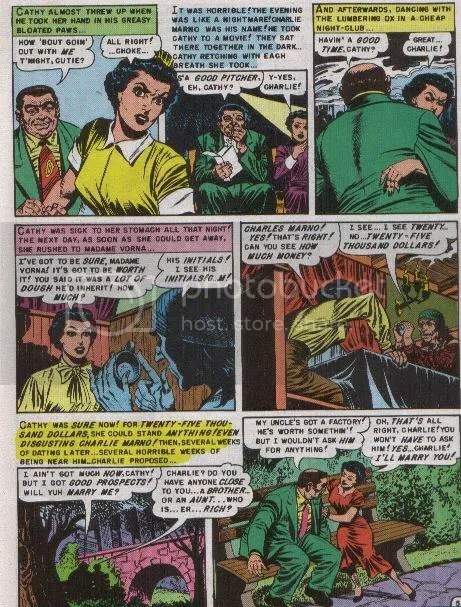 This is another EC Comics story that deals with race, which was a very tricky subject in the 1950s. 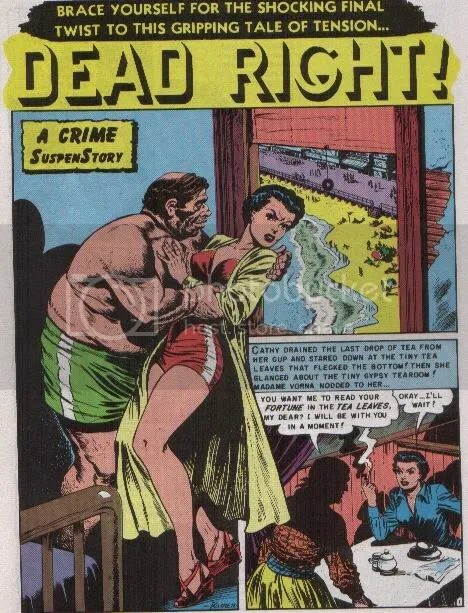 It sort of reminds me of the old Spencer Tracy movie Bad Day At Black Rock, only without the towns people trying to kill our hero. 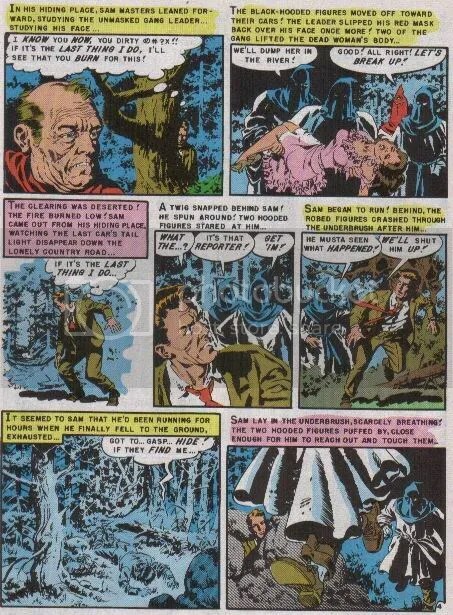 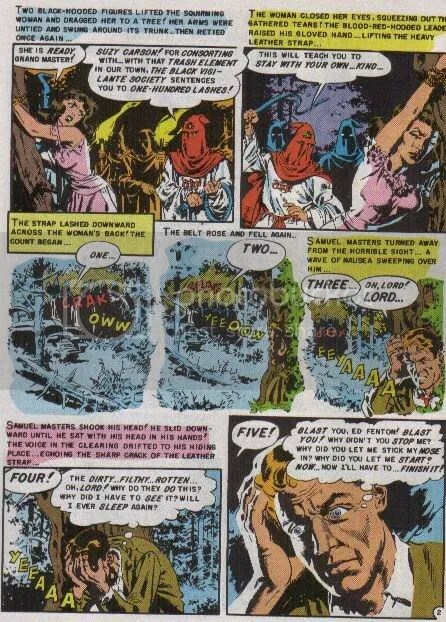 This tale based on a Ray Bradbury story, is quite an infamous EC Comics story from 1953. 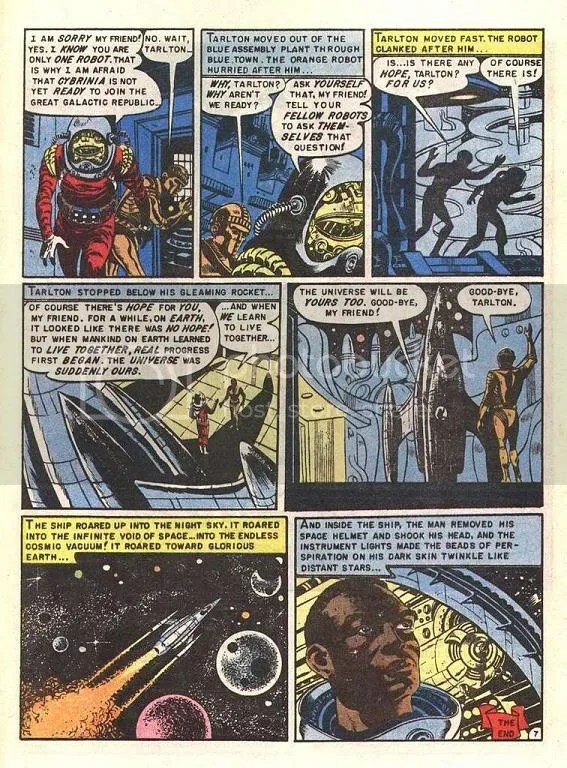 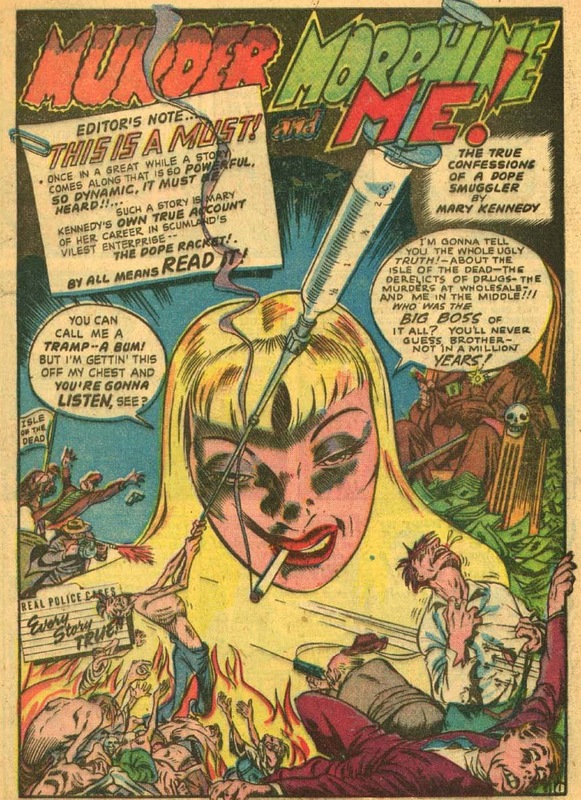 Actually most stories from EC Comics were infamous in one way or another. 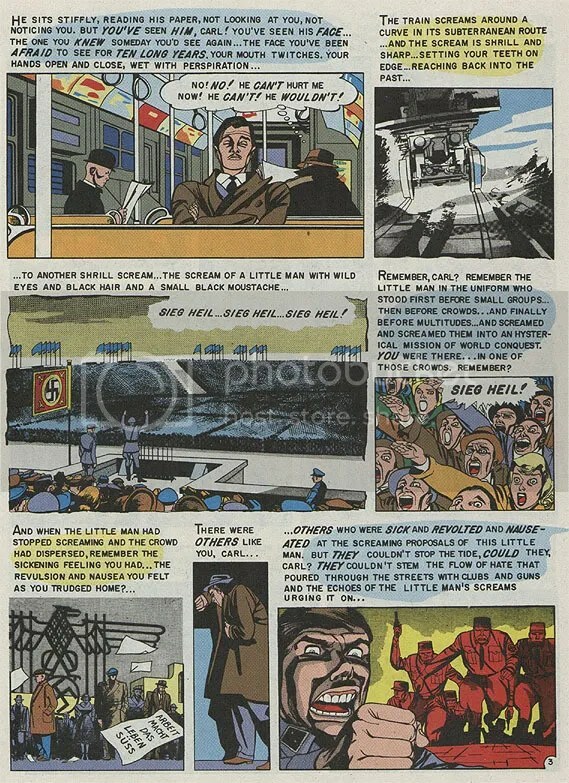 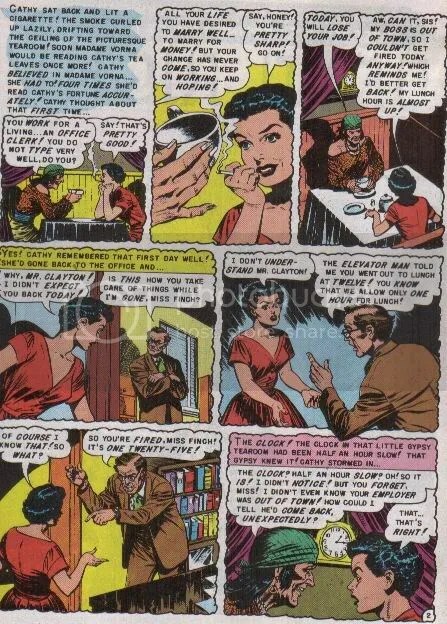 This particular story was written not long after the Kefauver hearings into comic books and juvenile delinquency, when pretty much everything that was being published by EC was very heavily scrutinised by the censors. 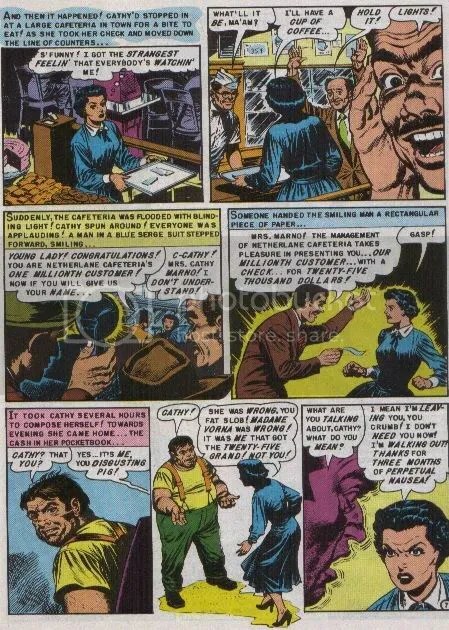 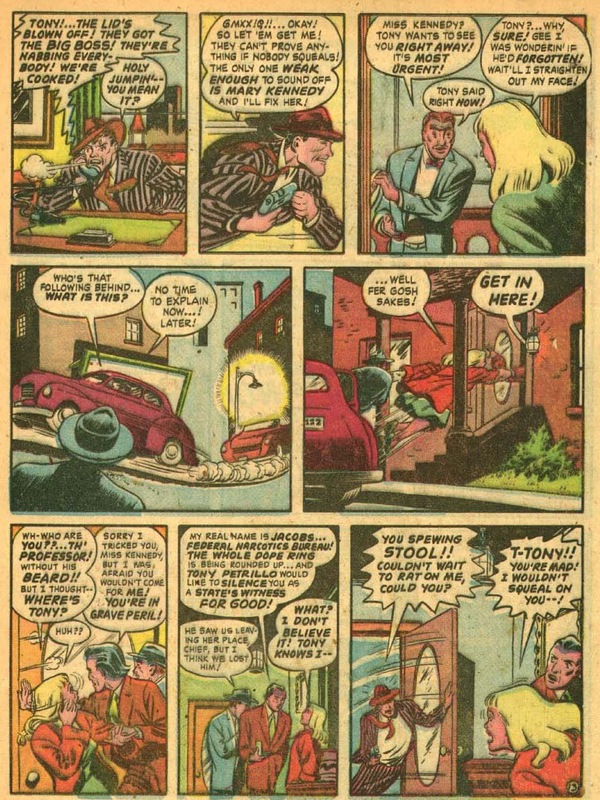 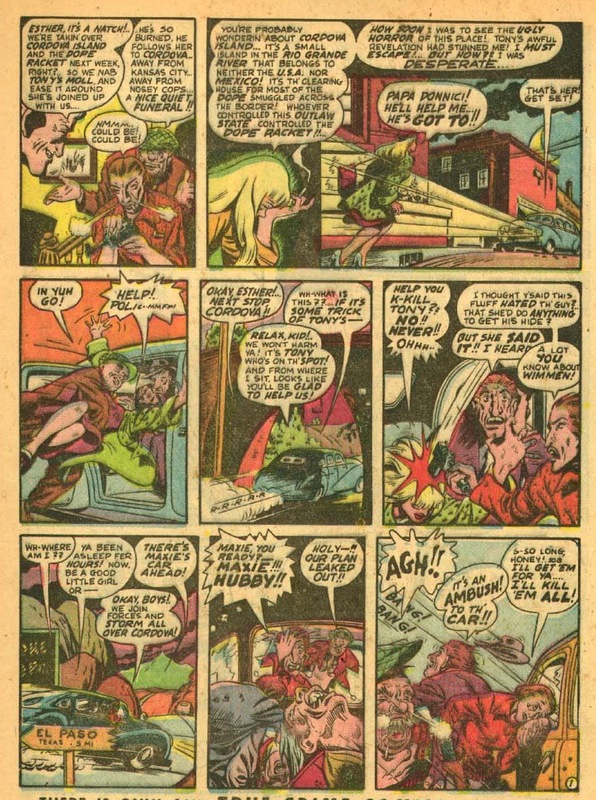 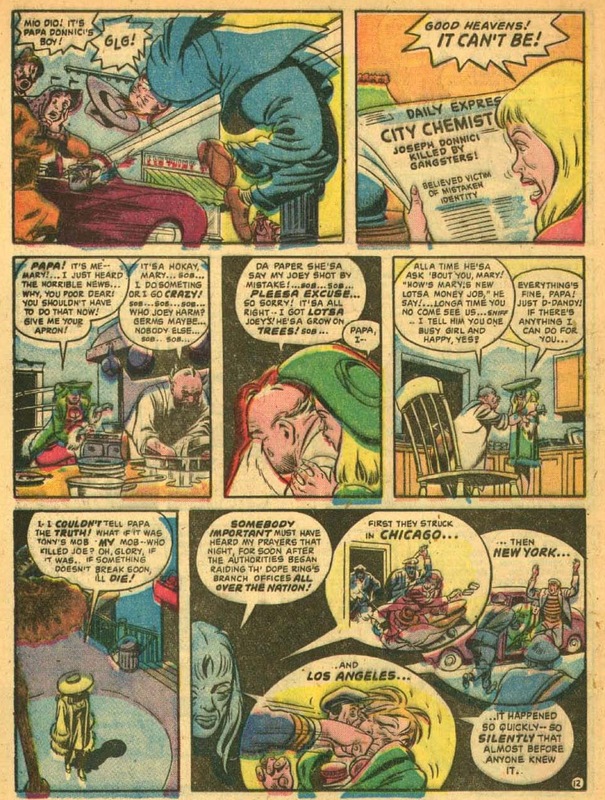 This one story initially was not approved by the Comics Code Authority due to the final panel, which really says more about the people who deemed what could be published and what could not, than about EC themselves. 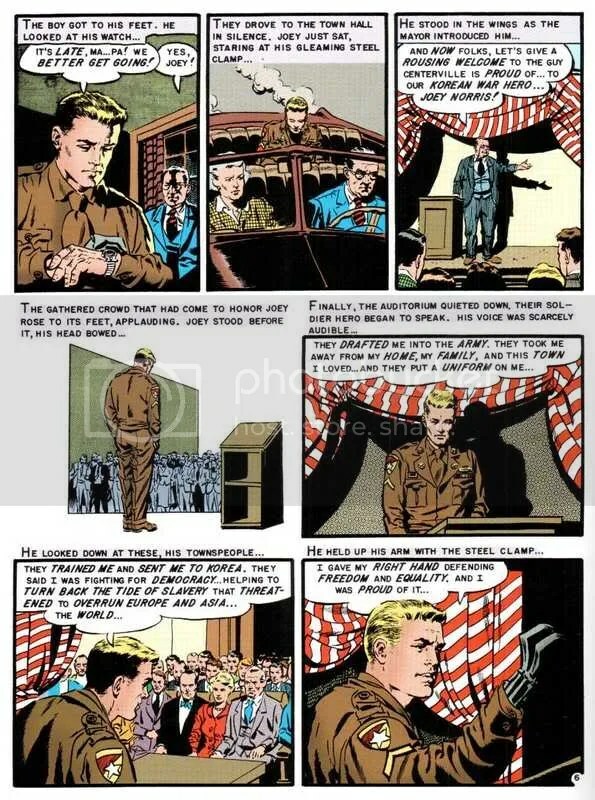 This is not a very articulate explanation that I have done so I have linked to Wikipedia who explains the controversy better than I ever could. 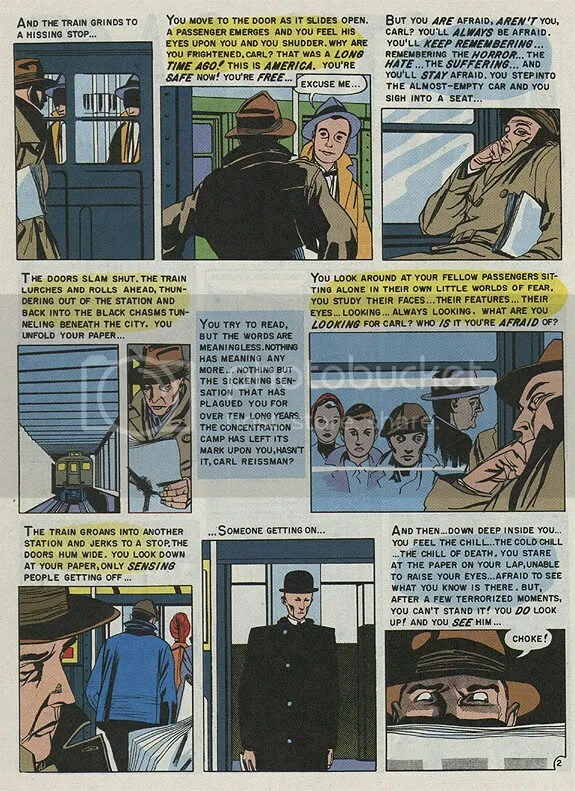 I have also selected a relevant extract below to help support my explanation. 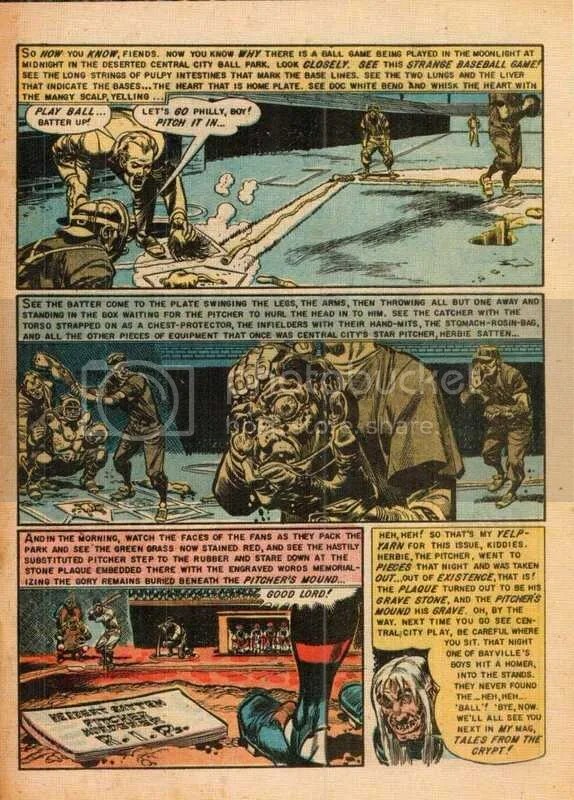 For more about this story visit this site.